Welcome to our happy school. We hope that you can get a sense of its energy, ambition and ethos from this website. St. Thomas' is a small church primary school in the heart of Lydiate. St. Thomas’ is built on a Christian foundation and we put God at the centre of everything we do, equipping children with Christian values to prepare them for their lives. In fact, our mission statement is based on the bible:Jesus said, "Come, follow me and live your lives the way that God wants you to". All the children and staff know each other well, and every individual plays a vital part in the life of the school. Our aim is to develop both character and academic understanding. We have high expectations of every child, and know that potential is infinite. 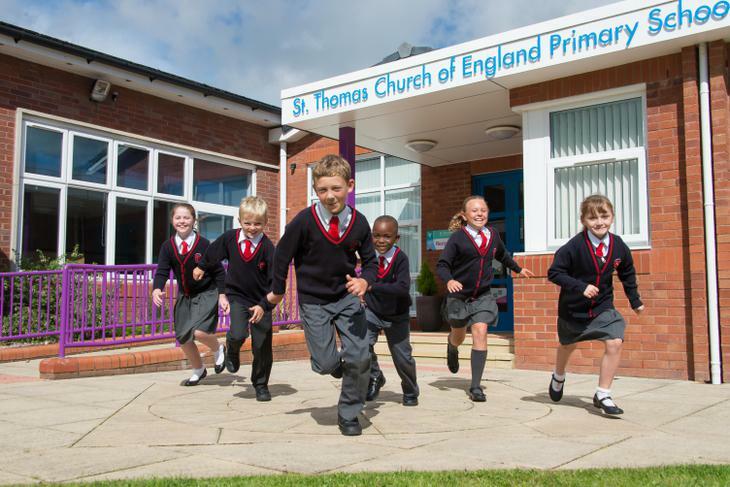 Ofsted inspected St Thomas' in July 2013, and judged that in all areas the school is outstanding. Underpinning the school are our strong, caring relationships and a shared zest for life and learning. We believe that children (and staff) who are secure and happy are confident to question, explore and learn. Our goal is to instill a love of learning within our pupils, which will develop them into life-long learners with high aspirations for their future. We, the staff and governors are proud of our school and the personal and academic achievements of our pupils. Hopefully you will find the answers to many of your questions on this site. If you are interested in finding out more, do get in touch. Our children and staff would love to show you around.